This year for Black Friday Ryan and I are following the lead of our favorite company, REI, and opting outside rather than for the chaotic sales. Of course, we always opt outside on the weekends (we’re also that couple who spent their honeymoon hiking). 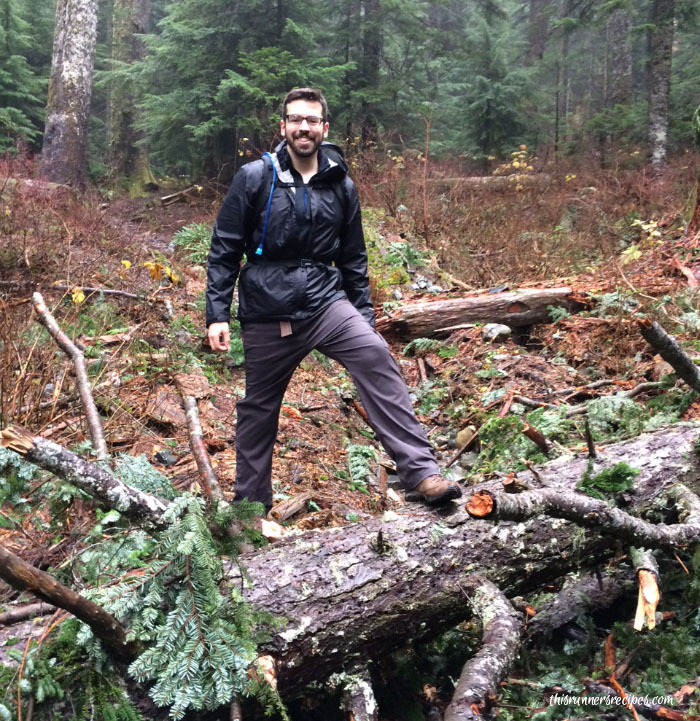 I want to encourage you to #OptOutside this Thanksgiving weekend. No matter where you live in the country, you can find beautiful places to hike within driving distance. While camping can require expensive gear (which you can rent through REI and other places), hiking requires only a few key items, which can also be used for running or general autumn and winter wear. Hiking in fall and winter, much like running, requires a careful balance of staying warm while preventing overheating or hypothermia from sweat. Whether you’re hiking in the Midwest, Appalachians, Rockies, or Cascades, the temperature will be rather chilly in the mountains, but when you know what to wear for hiking in cold weather, you can stay warm and dry while enjoying your cold weather hike. Honestly, while I want to look decent while hiking, the focus for me is on staying warm rather than looking good. All the layers make me look a few sizes bigger than I am (and sometimes I resemble the little brother from Christmas Story) but it’s so worth it to stay warm and dry. 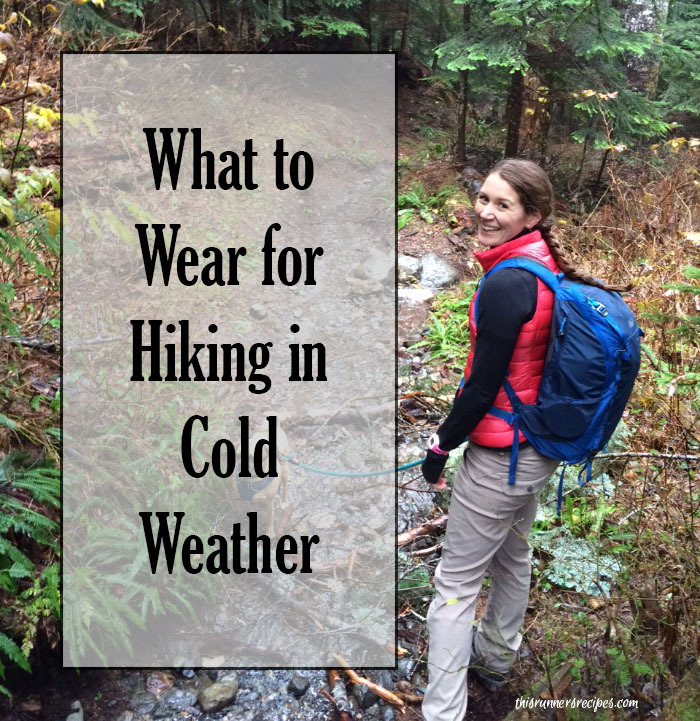 When we go on a hike, especially if we plan on camping, we pack several layers to mix and match based on the temperature and our effort level. Oftentimes, I begin with just a vest and a base layer, since I know I’ll warm up as soon as we start hiking. Usually, once the elevation is above 4000 feet, I notice that I begin to chill, so I keep a light jacket on the outside of my pack so I can easily slip it on under my vest. One we arrive at the peak, the temperature is significantly cooler, so I usually switch out my light jacket for a warmer coat and slip on gloves and a lined headband. You want to have layers so you can easily adjust for the varying temperatures and levels of activity. If we’re camping, I’ll also pack lined running tights or thick leggings to wear under my hiking pants while we’re at the summit. The mountains get VERY cold at night, so the more layers you wear, the more pleasant of an experience you will have. Don’t wear a cotton undershirt! As soon as you begin sweating (which you will, especially if you have a heavy backpack), the moisture can be trapped between your skin and your clothes and cause you to feel chilled, which is not what you want. Even if you’re bundled up, you can be at risk for hypothermia if your sweat cools against your skin. Wicking layers will remove the moisture from your skin, which keeps you feeling warm and dry. Polyester and merino are some of the best options; avoid cotton. Shifts in weather can easily occur when you’re at a high elevation. No matter the weather, anticipate the unexpected and pack the appropriate clothes for rain, wind, cold, and snow. Ryan and I always pack raincoats, gloves, and hats, even if it’s in the 60s and sunny at sea level. I adore these prAna Women’s Halle Pant (a similar style for men is available in the prAna Men’s Stretch Zion Pant . Mine are unlined, but they also carry them in a lined version for winter. These pants are comfortable, flexible, breathable, and durable. I’m tall (5 ft 9) and these pants have enough length even when I’m wearing my hiking boots; they cuff easily as well, which means they can be adjusted to your height. 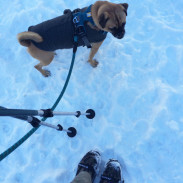 PrAna treats their hiking pants with Scotchguard, which means that dirt just brushes right off of them – very useful for when Charlie jumps and gets mud all over me! Finally, in addition to the normal pockets, these pants have a zip pocket on the right pants leg that can fit IDs, medicine, cash, and cards so that you always have the essentials on you. If it’s especially windy or chilly, I wear a thin yet warm pair of running tights underneath them for extra warmth without any hindrance to mobility. I love this warm and sleek down vest and would buy it in half a dozen more colors if I wasn’t trying to not be so materialistic nowadays. This vest is warm yet breathable. It compresses down small so that you can easily stash it in a backpack, and it’s thin enough to layer underneath a down jacket or rain coat. It comes in several bright colors, which means it will keep you visible during hunting season or the short daylight hours of winter. Always cold people rejoice: a good base layer will keep you warm even in the chillest temperatures. Ryan and I both own this REI heavyweight base layer (men’s available here) in black. It’s lined with a soft fleece that keeps you warm up wicks away any moisture. Even though it’s warm, it’s thin enough to layer under vests and jackets. Plus, the thumbholes add an extra layer of warmth on your hands. On very cold days, I layer a lightweight base layer underneath this heavyweight layer for extra warmth. Warm and dry feet are an absolute must for hiking, and to ensure that, I choose SMARTWOOL Ladies PhD Outdoor Light Crew Sock . Smartwool makes the best hiking socks (and the best <Smartwool PhD Run Ultra Light Micro W ), and they come in a variety of weights. I have a pair for warmer weather and a pair for cooler weather. SmartWool socks keep your feet warm while allowing them to breathe; nothing feels grosser during a hike than sweaty feet! It rains a lot during autumn and winter in the Pacific Northwest, so a proper rain jacket is necessary for any outdoor activities. Marmot Precip Jacket is a durable and warm raincoat that will keep you dry in even downpours. Best of all, it breathes well so you don’t sweat and features ventilation zippers under the armpits. It even packs into itself so you can easily stow it in your bag for every hike. Don’t wear your raincoat underneath your layers; especially if you’re wearing anything stuffed with down, you do not want your layers to be soaked by the rain. Once down gets wet, it takes hours to dry. At $229 retail, it’s pricy, but this Patagonia Women’s Down Sweater Jacket (available in men’s as well) compresses tightly to pack well in your backpack and will keep you insulated in the chillest temperatures. It’s the item at REI that Ryan and I both keep trying on because it’s so amazing. For a more budget-friendly option (which is what Ryan owns and I’m coveting), the REI Co-Op makes a comparable down jacket to keep you warm without adding bulk to your pack. Disclaimer: All links through Amazon and Shopstyle are affiliate links. There is no additional cost to you for using an affiliate link; rather, a small commission from your purchase supports This Runner’s Recipes. 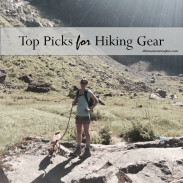 The REI links are not affiliate; they are just really great products that I wanted to share with you because I can geek out all day about running and hiking gear. 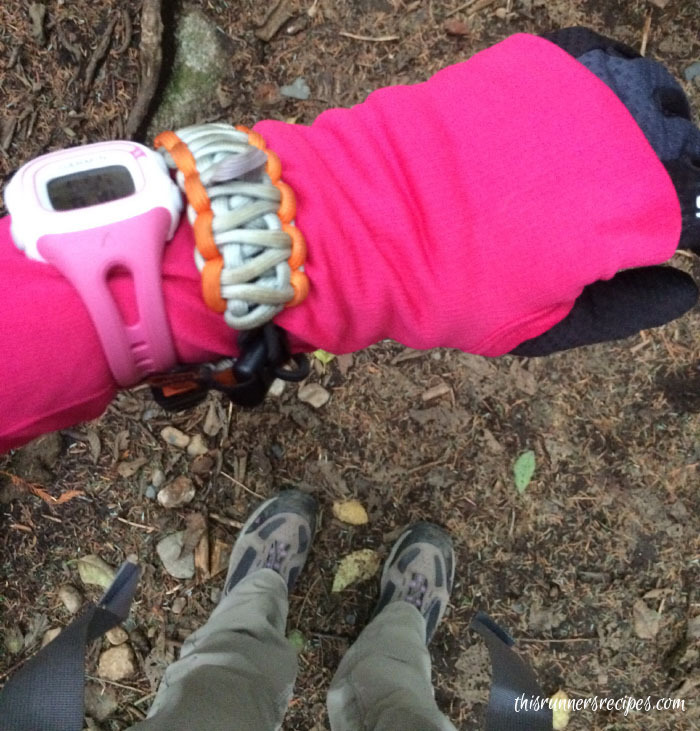 How do you stay warm on run and hikes in the cold weather? Has cold weather arrived where you live? I love that REI is taking such a stance on Black Friday! And I agree–I’ve been shopping there for years, and they have some of the BEST outdoor products, period. 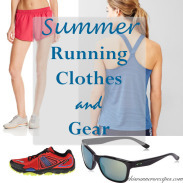 They do have amazing outdoor products – and I’ve even switched to there over running stores since I can find all sorts of gels, foam rollers, and shoes/clothes there. It was 31 degrees for my run this morning! After it being in the mid 50s/low 60s all weekend, I was not expecting this huge drop in temperature. Guess it’s time to put away my running shorts! 31 is SO cold! We had that same big drop in temperatures – I was in shorts but yesterday was a day for leggings. Hopefully you get a few more days of running in shorts! Our weather has been so weird lately. 25 degrees this weekend and this morning on my run it was 48 degrees! For cold weather running layers is where its at for me (like most). I like a good base layer, jacket, gloves and tights. I’m going to have to check out those Brooks gloves. Thanks for sharing! We got weird weather like that all of the time in Valparaiso – cold then warm then snow! The Brooks gloves are amazing – I think they have a wider selection on the Brooks side with options that have mitten flaps as well, but the ones I have have touch pads on the fingers and are so warm without being hot. The best running gloves I’ve tried! Up in BC we have a store called Mountain Equipment Co-Op and it’s similar to your REI. When I ran my first marathon in 1998, nobody made women’s running clothes. Well not like they do now. I bought all mine in men’s xs. My first jacket that I still have was a men’s small, bright red Gortex. It was $210, I will never ever forget! I wear it when I am running at night in the really cold wind and rain. Otherwise I wear my North Face jacket like yours although I don’t like how the zipper digs into my chin. That’s crazy that they’re weren’t women’s running clothes then! The Gortex jacket sounds like a great piece though! The North Face does have its downsides – it digs into my chin some also, and my hair always gets caught in the Velcro, but it keeps me so dry and warm. Awesome list!! We have been looking for suggestions for what to buy for our winter hikes – thanks for sharing these!! Thank you, Liz! I hope you enjoy your winter hikes! I love this idea! I just joined the REI Co-op because I support the movement so much. I’ll definitely be opting outside on Black Friday…more like Green Friday 🙂 Thanks for the tips on keeping warm! I usually work on Black Friday, so it isn’t even on my radar. Plus I do most of my shopping online. I hate crowds! Crowds are the worst! I do most of my shopping online also – it saves so much time and stress! Thanks for the tips! I now have some ideas what to get my hike-loving sister for Christmas! Great tips! I’m also going to be hiking on Black Friday and I’m really looking forward to it! I live in Alaska and have to carry layers all year round so I can stay warm in the windy and cold mountains. I’m going to check out a few of these things to add to my gift list! Thanks, Kristen! Yay for Black Friday hiking! I bet Alaska has some truly beautiful hikes – so many big mountains there! This is such a wonderful time of year and I love going hiking in it!!! Love REI making their statement about getting outdoors! Yay for another winter hiker! The cool mountain air is so refreshing! Smart wool socks are my life savers! so warm. And now i think I need that jacked!